From manscaping kits to watches, to collar stays and your own unique scent. Discover all the awesome stuff you can get delivered direct to your door on the regular. By Dean Stephens Last updated Apr 14, 2019 We may get a commission for purchases made via our links. Here's why. You may not agree with me here. But I’ve always thought it’d be a pretty huge time saver if I could be dressed and groomed by robots after bouncing out of bed every day. And not just by any old robots. I’m talking smart robots. In robot suits. Maybe they’ve even read a few TAM articles. They’d know what I like to wear, they’d understand seasonality, and most importantly, they’d never suggest I wear a studded belt. Sure, I may never see that day. But I take solace knowing that my grandchildren will probably realize my dream. Although there’s a chance the studded belt will have come full circle and back into the mainstream by then. What alternatives do we have in 2019 to robo-dressing? OK, they’re not even close to the same thing. But there’s no doubt subscription boxes are on the rise. These days you can find subscription boxes for everything from wine to books to things for left-handers. No joke. Do You Need A Subscription Box? What Makes For A Good Subscription Box? Open up a notepad and write down the items in your life that you restock on a monthly, quarterly, and yearly basis. You’ve now got yourself a list of your essential items that you’re buying consistently. If a subscription box takes care of delivering you those items you would have resupplied anyway in your weekly or monthly shop, it’s a value-add in your life. Especially if getting them as a recurring service will save you time and/or money. What about all those boxes that are sending you ‘nice-to-haves’ rather than essentials? The value you’ll gain is obviously more subjective with these. I love the feeling of opening all of my subscription boxes every month. But my anticipation is always the greatest on those boxes that I’m not quite sure of what’s inside. It’s like opening that Birthday present from that one uncle who never fails to deliver the goods. O.K this just got weird. Alright, so you know that subscribing to at least one subscription box could be useful to you. Above all else, the best subscription services are those that send you high-quality stuff with good curation. And that makes sense, right? Unless you’re some kind of subscription box masochist, you’ll want to be sent things that are of interest to you and that you’ll actually use. If you’re sending it as a gift, the packaging becomes much more important. You’ll want it to look more Christmas present from Auntie Carol than reluctant Birthday present from your younger brother. I’ve highlighted a few below that make excellent gifts due to their exterior appearance. And as with any recurring service, good customer support is always a plus in case something goes wrong. I’m here to piece it all together for you. I’ve put together this mega list so you have a place to start in your quest for subscription box salvation. 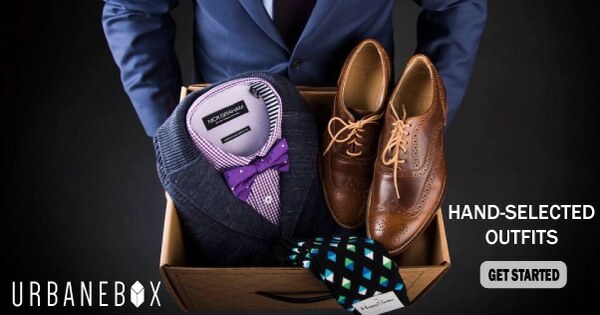 These are my favorite subscription boxes for men in 2019. Based on quality, value, curation, and reviews. Note: this is a fluid list and so if I come across a new box and I like it, there’s a good chance I’ll add it. On the flipside, if a box I’ve listed here plummets in quality over the course of several months, it’ll be axed. Who’s it for? The modern man who appreciates quality and choice. What do you get? A hand-selected mix of high quality men’s lifestyle goods and guidance, including fashion, style, outdoors, home, kitchen, accessories, grooming, barware, and more. 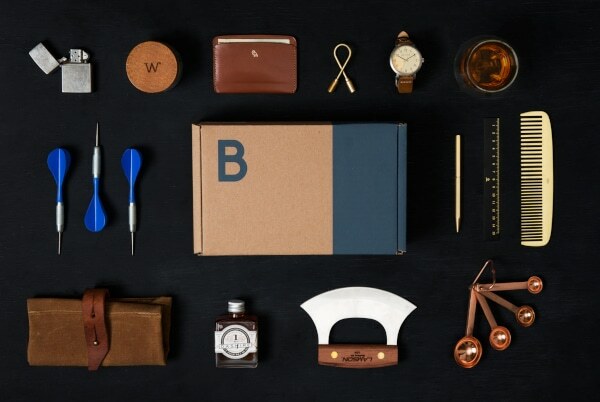 Bespoke Post are unique in that they release a range of boxes each month—some new, some old favorites—and you select which box you want each month. What do we think? Check out my in-depth Bespoke Post review and buying guide here. I take a look at the Weekender and Alchemy boxes and offer up a complete guide on how to get the most out of the BP experience. Who’s it for? 82% of the population on the 1st of January every year. Or any busy guy who doesn’t have a personal trainer but wants some extra motivation to keep his workouts up. What do you get? Choose from either the ‘Citizen Box‘ or the ‘Warrior Box‘. Both boxes include at least three snacks, three supplements, plus outdoor or workout gear. Both boxes also come with a ‘suggested workouts’ sheet. The brand say their goal with this is to inspire you to change up your workout routine. What do reviewers think? Most reviews I found on Cratejoy seem to be pro Spartan Carton. For positives, subscribers liked the quality and variety of the curated supplements and consumable products. Reviewers also heaped praise on the gear they received, with one reviewer very happy to get both an elevation training mask and a jump rope as part of his second box, and a very usable resistance band as part of his first. One reviewer fell into the negative camp having bought a box for her brother. She was saddened to hear that his verdict was that the products were cheap and silly and not worth the $25. The guys at Spotter Up did a complete unboxing of two boxes that were sent to them by Spartan Carton. They go into some nice detail (including pretty pictures) and they’re worth a read if you’re interested in subscribing. You can check out both reviews here and here. Who’s it for? The guy who has everything but this. What do you get? 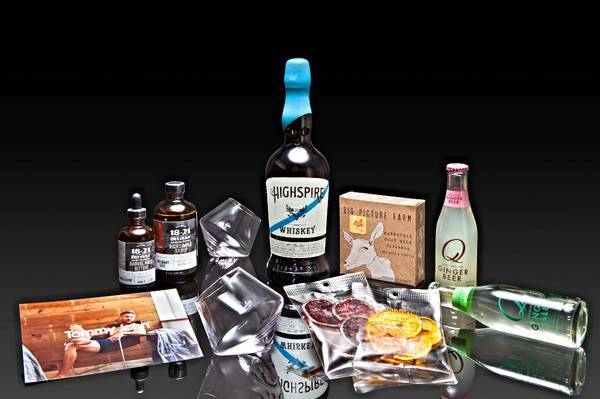 A carefully curated mix of high society spoils. Including spirits, fine wines, toys, tools, tech, foods, and accessories, along with a premium editorial book that weaves all of the items together in a story. What do reviewers think? Reviewers have reacted favorably to the Robb Vices. And unless you went big on Bitcoin in 2010, you’d really want to see a few decent reviews floating around before taking the plunge at $99.95 / month. Subscribers have described loving the themed nature of each box. They’ve said the enclosed booklet drives this theme home visually and really compels you to get full use out of your monthly purchase. Others were clearly excited by the luxury level quality of all of the items they received and praised the curation as it led them to try obscure brands they don’t think they would have found otherwise. We did find one negative review in the happy pile. A subscriber was quite disappointed that he received a damaged beaker, and overall felt that there was nothing in the box he would have purchased as a standalone buy. Who’s it for? The guy who understands why it’s important to keep a clean shop. Or the girl who wants to give her guy a not-so-subtle hint to tame the forest. Because the verdict is well and truly in. Women overwhelmingly prefer a man to be groomed down below. No, not fully shaven. Groomed. 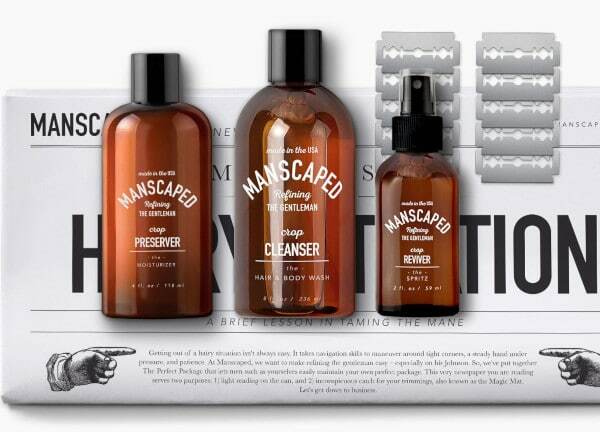 Manscaped claim their goal to be to revolutionize men’s below-the-waist hygiene with a range of trimmers, safety razors, nail kits, and wash products (to name a few). Supplemented with a monthly Replenish Pack. What do you get? Cleanser, moisturizer, toner, a set of disposable shaving mats, and a 10 pack of refill blades for The Plow safety razor. Read our review of the Plow here. What do we think? I wanted to give Manscaped’s products a try for myself. Check out my in-depth review of their entire product range here. Who’s it for? Any guy on a budget who regularly shaves hair off his face. What do you get? 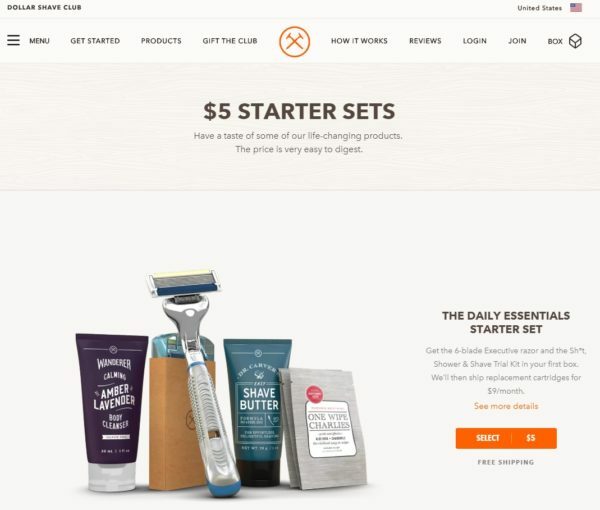 The Classic Shave Starter Kit comes with Dollar Shave Club’s own 6-blade Executive Razor and Dr. Carver’s Easy Shave Butter (3oz). You get four replacement cartridges per month. What do we think? I’ve been a DSC subscriber for over six months now (note—we don’t have a sponsored relationship with DSC). In terms of the blades, my overall thoughts are that they’re not the highest quality, but they’re certainly value for money at their price point. Let me put it this way. I don’t reach for my Dollar Shave Club razor when I haven’t shaved for a while because I find they don’t give me the closeness I’m looking for. But if you’re clean shaving every day, or simply trimming the edges of your beard, they’re probably the best value for money blade option out there. In terms of the brand’s other products, I really like the soothing feel and smell of their Shave Butter and Post Shave Cream. They’re now my go-to shaving creams, even with competitor razors. And their subscription management really is top-notch. DSC sends you an email before sending out your box asking if you want to add anything to your order, or even hold off on a top up of cartridges. This is great service. And it’s perfect if you’ve quit your job and decided to go full-blown Hanks in Castaway for a month or two. Overall, their marketing probably has had a huge part to play in their success. But either way, you don’t become a billion-dollar company without doing something right. Who’s it for? Every bearded gentleman who cares about how their beard smells and looks. Alternatively, if you’re looking to give a box as a gift, this one is thoughtful and affordable. What do you get? If you join Beard Care Club’s Scent of the Month Club you’ll receive a new scent every month as part of the box of your choice. The cheapest box contains a 1oz mustache wax, while the most expensive contains a 2oz beard balm, 1oz beard oil, 1oz mustache wax, 8oz beard shampoo and a 1oz beard conditioner. I like that you get a lot of choice (there are about 10 boxes available) so you can tailor it to your own facial hair needs. It’s also cool that they create a whole new scent every month to keep things fresh and interesting. What do reviewers think? BCC has received overwhelmingly positive reviews online. Reviewers seem to love the smell of the product and the way the oils soften their beards (or in many cases, the beards of their husbands!). Their high-quality customer service is also pointed out in several reviews, as well as the price for the volume of product received. On the downside, one reviewer felt that the scents did not align with the descriptions and were overall unpleasant. Who’s it for? The guy who loves trying new flavors of high quality dried beef. Or the guy who wants more protein in his diet. That covers every guy on Earth, right? What do you get? Four bags (6-10oz total) of craft jerky carefully curated for quality and based on your spiciness (mild/medium or hot/spicy) and taste preference (traditional or non-traditional). You can skip a month or cancel your subscription at any time. What do we think? In full disclosure, the JerkyGent team sent me a box to try with no expectations attached. I was genuinely so impressed that I decided to include them on this list. The box comes nicely packaged and includes a card setting out the month’s jerky picks. I liked that they each had their own unique flavor without being overly salty or chewy like some cheap jerky can be. My favorite was the FireCreek Jerky which comes in the old-school stick form. It was a legit party in my mouth (beef party?) and the only bummer is I only got one stick. What do reviewers think? Don’t just take my word for it. 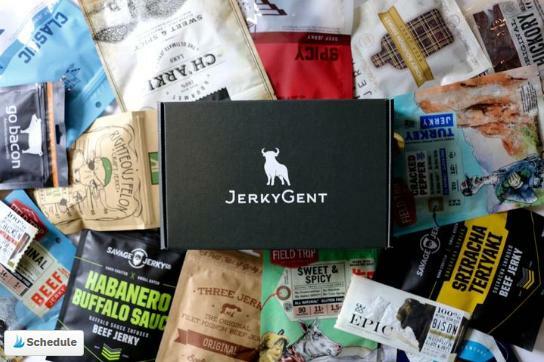 Another huge reason I decided to include JerkyGent on this list is down to their overwhelmingly positive reviews from other customers online. Reviewers have praised the quality and variety of the brands and flavors delivered. Other positive reviews comment on their great customer service and speed of delivery. Many reviewers also described getting awesome reactions when giving a box as a gift. And you know what? I can understand why. Because most people love beef jerky! Shocker. For negatives, I did see a few comments where some people didn’t like a one or two of the flavors but they were few and far between. Who’s it for? The guy who makes coffee at home and whose taste for coffee has advanced beyond Starbucks. Or anyone who wants to give a gift that is guaranteed to bring joy to any true coffee lover. What do you get? All subscriptions start with a tasting kit so you can nail down your perfect cup of coffee. You get four 2 oz. bags of single origin whole coffee beans. For your subscription, you can choose between an 11 oz or 16 oz bag of beans, and either weekly, fortnightly, or monthly shipping frequency. What do we think? I do a lot of writing. And honestly, I don’t think I’d churn out more than a sentence a week without coffee. This means I’m always buying it, and so for me, it’s the perfect candidate for a subscription box. It didn’t take me long to find Driftaway. They’re Brooklyn based and while it’s no huge indicator, Brooklyn’s reputation is certainly growing when it comes to great coffee. I like that they send out a tasting kit to start. I received four distinctly different blends and so I was able to quickly figure out which was my favorite brew. Once you’re locked in, there are no real surprises. You get high-quality coffee delivered to your door as regularly as you want it, at a decent price. The signing up process is nice and simple, but be warned—if you’re addicted to coffee like me, you won’t feel like less of an addict after setting your sizing and frequency preferences. Oh, one cool feature that gives it that ‘subscription box feeling’ is the postcard style info card you get with every box. It gives you a bit of a background on each grower, as well as the roaster’s notes, and other tidbits. It’s a nice touch. I usually read it while I’m drinking my first cup of a new blend. It’s definitely taught me a thing or two about coffee production and helped me feel a little more enthusiastic about the coffee making experience. What do reviewers think? Whenever I make any significant purchase I usually look for reviews online. And honestly, I struggled to find an overall bad review for Driftaway (do let me know if you have/find one). 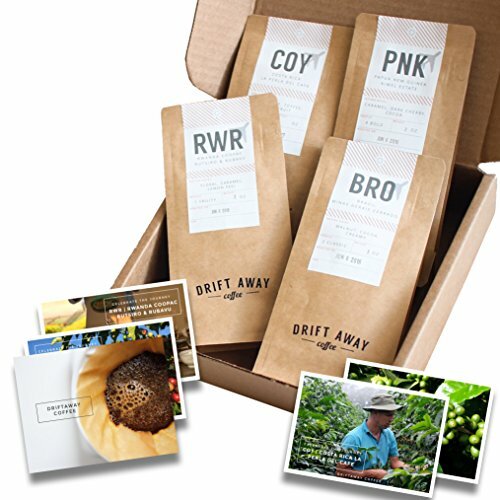 Reviewers have been overwhelmingly positive about the tasting kit, the freshness of the beans, the ordering versatility, and the postcard experience, to name a few. 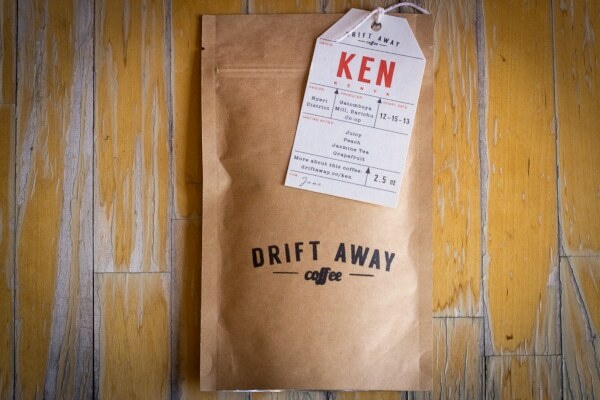 As a downside, one reviewer noted that Driftaway doesn’t offer decaf. I don’t drink decaf personally, but I understand that this could be disappointing if you did. Who’s it for? 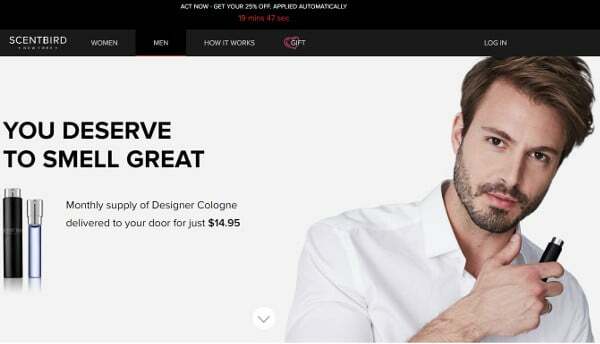 The guy who understands the power of designer cologne but doesn’t want to pay out the wazoo. What do you get? One new 0.27 oz / 8 ml designer fragrance from their range of 150+ designer and niche men’s fragrances. Here’s a list of their bestsellers for men (you can also check out their full list via that link). What do reviewers think? You’ve probably caught on that most boxes included in this list are well reviewed online. This is on purpose. And it’s not different for ScentBird. Reviewers point to their market leading selection of designer fragrances as the initial draw, and their travel-friendly/refillable spray cases as more big pluses. It’s well-liked as a gift box due to its reasonable price and sleek packaging. Unfortunately, there are a few negative reviews about customer service. I found several subscribers complaining about poor response times from support, and worse, customers being charged for several months after canceling. You may take comfort to know that ScentBird achieved a 4.48 / 5 based on 1,667 reviews on Influenster at the time of this post which doesn’t smell too bad at all. Who’s it for? The guy who doesn’t like to smell like other guys. What do you get? First, you’ll get Scent Trunk’s free Scent Palette. Then, after sniffing their six fragrance families to figure out what kind of scents you like and dislike. If you opt-in, you will get your personalized 5ml fragrance delivered each month free of charge. You can provide feedback at any time throughout your subscription and Scent Trunk will make alterations. Or you can hit the reset button and start from scratch. What do reviewers think? 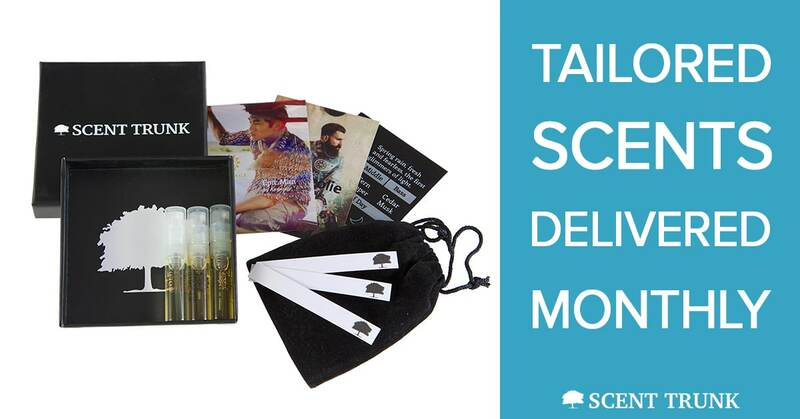 Overall, reviewers have responded positively to Scent Trunk’s unique offering in the fragrance subscription market. One review described enjoying the process of crafting their own unique signature scent and loved the simplicity of the process. Another review by a fragrance psychologist over at AskMen found that that the end product truly shattered his expectations and quickly became one of his favorite scents. Negative comments pointed to the inability to purchase a full-sized bottle which can be a bit of a drag when you finally feel like you’ve nailed down your favorite scent. But let’s be honest, this is a subscription service and you’d expect them to try to claw back the investment on all of those free Scent Palettes sent out. Others felt that the process could be personalized even further by allowing subscribers to name their fragrances, as well as send personalized fragrances to others as a gift. Who’s it for? The guy who’s newly into watches and wants to go on a journey of watch discovery OR the guy who’s already a watch lover and likes the idea of joining an active community and trying out some new timepieces. What do you get? One brand new watch each month. 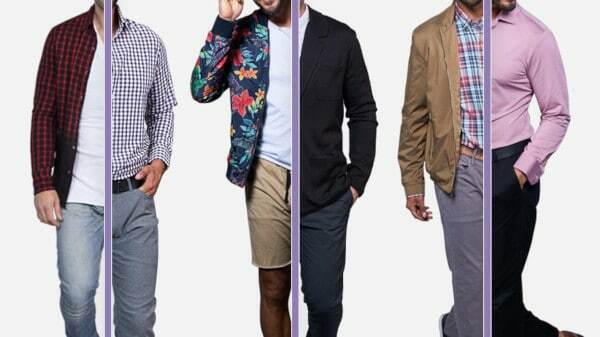 Aligned with your style choices from an interactive quiz you take when signing up. It’s a bit like watch Tinder. As a member, you become eligible for special flash sales and giveaways, including their famous weekly TAG and Rolex giveaways. If you’re a Watch Gang Member you’re automatically entered into a draw to win a free TAG and Rolex. Each and every week. You also get access to Watch Gang’s private community where you can buy, trade, sell, or simply chat it up. They have between 20,000 and 30,000 members and so unlike other similar watch groups I’ve seen, this one is usually pretty active. What do we think? I’ve given Watch Gang a try for myself. Check out my lengthy review here. Who’s it for? The guy who’s happy to rotate affordable watches into his collection for improved variety in his outfits. What do you get? One watch delivered monthly. With $1 for each subscription donated to a new non-profit organization each month. What do reviewers think? 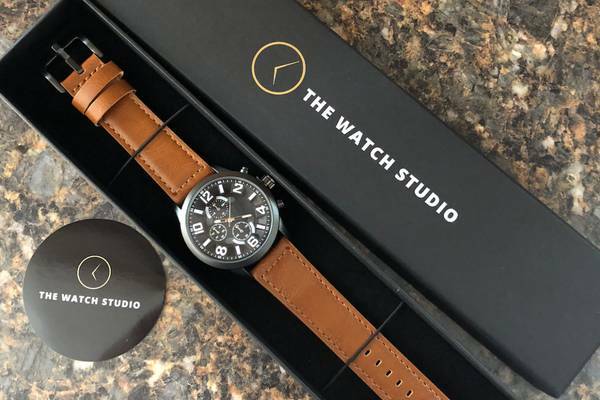 From what I’ve seen, people are digging The Watch Studio as a subscription box. And as a watch guy myself, I like the idea as well. At $29 / month. You’re obviously not going to get the design and aesthetic elements of a Rolex. But affordable watches have a place in a man’s collection. For one, you can usually accumulate more of them quicker. This allows you to inject more variety into your outfit choices. And secondly, they can add value from a utility perspective. What if you’re going to the park or down to the lake and want to be able to tell the time, but don’t want to have your phone right there with you? Slap on your $30 watch and you’re sorted. It might get dusted up or damaged, but who really cares? Reviewers have been impressed by the style of the watches they’ve received across a few boxes, as well as the uniqueness of some of the bands they’ve seen. The uniqueness of some of the pieces is a common positive, and this is good to hear. Because enjoying exposure to new styles of affordable watches is a big draw to signing up to kind of subscription box. On the negative front, some reviewers felt one of the watch bands they received was unusually small, but we noticed that customer support responded with a vow to fix future designs. Who’s it for? The budget-conscious guy looking for an easy and affordable way to build out his wardrobe. Or the guy who appreciates clothing subscription services that offer creative membership perks above and beyond their monthly box. What do you get? After filling out a short style quiz, you get two to three curated men’s clothing items from the ‘Five Four Group’ brand family each month. These brands are Five Four, Grand AC, New Republic, and Oshenta. As a Menlo Club member, you also get a few extra perks. Firstly you get an additional 20% off the Menlo House store (Five Four Group’s e-commerce store). I think this is an awesome perk if you’re a fan of these brands. Their clothing is really quite affordable for the quality on offer and so this can save you some big dollars over the course of a shopping year. Your membership also gets you free shipping on all orders, as well as access to custom curated content (essentially online clothing guides). What do we think? I’ve tried Menlo Club firsthand. Click here to check out my in-depth review. Who’s it for? The guy who’s intrigued by the prospect of having his style choices tailor-made for him with the help of A.I. What do you get? 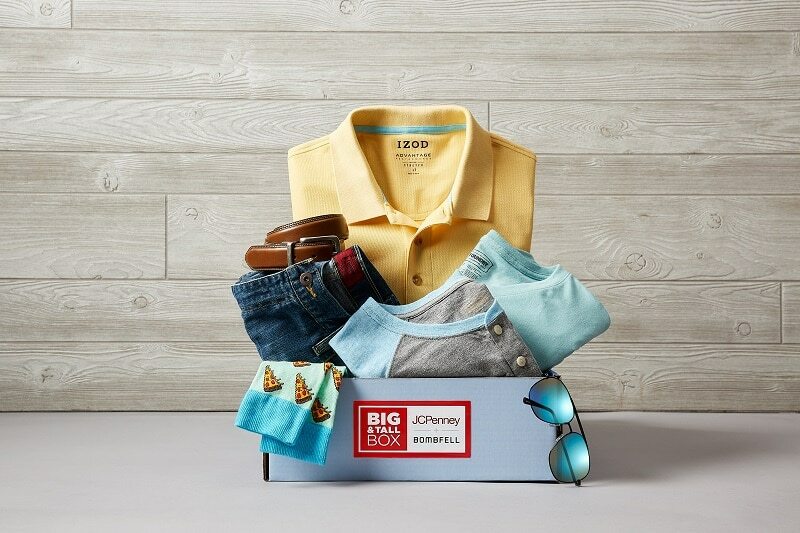 For $65, you get two to three pieces of clothing delivered to your door each month with a retail value of $150 minimum. The styles you get are based on the answers you feed their online quiz on signing up. Your answers are fed through the Trendy Butler A.I. system (named Alfred) and then ran past their in-house team of stylists. The intended result is a selection of carefully curated items that will be a fit for you. What do we think? I’ve also given Trendy Butler the TAM test. Read my thoughts here which also cover the signup process. Who’s it for? The guy who appreciates basic tees done well. 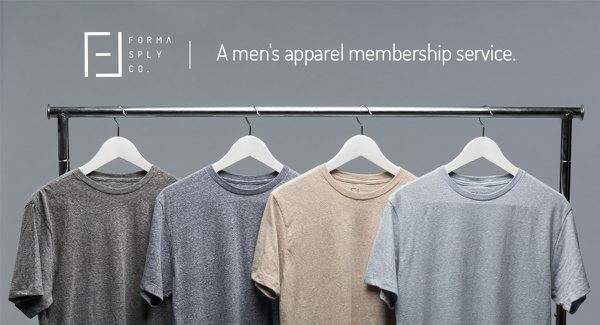 Forma Supply Co.’s motto is “Your life. Your Essentials” and that pretty much sums this box up. To get started, you tell them what kind of clothing you’re wearing at the moment and your shirt size preference. They’ll then deliver your customized essentials as often as you’d like them. What do you get? Three premium tees. What do reviewers think? 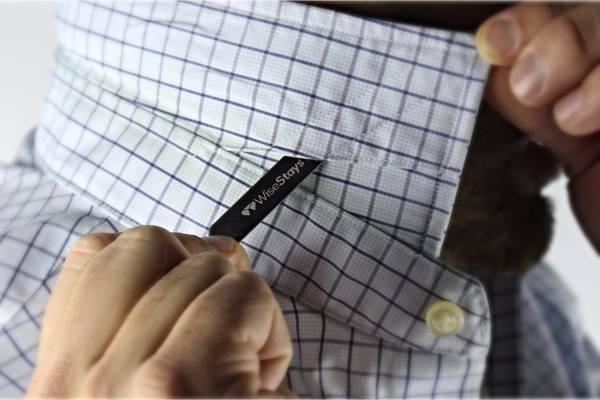 Reviewers have pretty much unanimously said that the shirts have a high-quality feel and the fit is good. As a negative, a couple of reviewers said that they did receive several grey shirts (even when they chose the color box) so this one might not be for you if you don’t dig grey. Who’s it for? The busy guy who loves a bargain and isn’t too proud to outsource his style. You’re clueless about style and you’d benefit from having a stylist put together some clothing basics tailored just for you. If you ever cancel your subscription, you’ll always be able to reflect on what was chosen specifically for you by a professional stylist. This will help with your own clothes shopping in the future. What do you get? 2 to 3 staple items tailored individually for you based on your initial styling questionnaire. What do reviewers think? 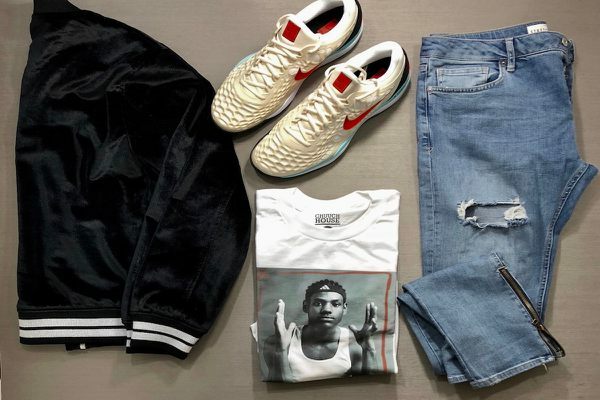 Many reviewers have claimed that the clothing they’ve received has been consistently of a high quality, with the total retail price far exceeding the $60 / month paid. The few neutral or negative reviews I found generally related to fit. If you have common fit issues with some brands or particular types of clothing, I’d advise outlining these to your Urbane Box stylist in your styling questionnaire when you sign up. Who’s it for? 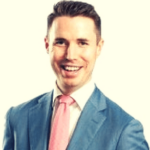 The guy who appreciates the value in having a personal stylist, but likes having control over what he keeps from a subscription box. What do you get? A typical order consists of up to five clothing items (mostly shirts, pants, shorts, jackets, and/or the odd accessory). I’d classify their overall style as modern/corporate. The key differentiator with Bombfell is that you can preview your stylist’s picks before they ship them out to you. You then get seven days to try everything. Keep what you want. Ship back what you could live without. Simple. Bombfell incentivizes you to keep more items by giving you a bigger discount the more that you keep. What do reviewers think? Reviews online are generally positive for Bombfell. Reviewers love the return shipping option as it made them feel they could subscribe with a lot more confidence, particularly at this price point. The curation quality of the personal stylist was also a resounding positive among reviews, as was the wide variety of items on offer, both professional and casual. For negatives, some reviews found that items can be pricey (particularly if you only choose to keep one or two items). Another was that the initial questionnaire can take a lot longer than other subscription boxes to complete. That said, this initial investment of time is going to help your stylist find better matches for you. Who’s it for? The guy who likes to keep his fundamentals in order. What do you get? A new t-shirt, boxer-briefs, and a pair of socks. Of the premium variety. The t-shirt is made from jersey blended cotton, the briefs are made from modal, and the socks are heavy combed cotton and bamboo. What do reviewers think? Reviews have been very positive overall about Basic MAN. The quality, value for money, and customer service across have all been praised consistently by reviewers. The few negatives I saw related to them fitting a little on the small size for some (maybe keep this in mind and order up if you’re concerned). Who’s it for? The guy who permanently has sand between his toes (or wishes he did). What do you get? Two to three brand pieces of surf apparel hand picked by a stylist. What do reviewers say? They seem pretty stoked! Sorry, I had to. This is a niche offering and surfers can usually tell quality from not because their apparel needs to be durable. Their Facebook reviews page also has them at a 4.7 out of 5 rating after 152 reviews which is super impressive. Many reviewers have said they’re yet to be disappointed after many months of subscribing. They love that the curation includes brands from across the world and that the offerings are season specific. Customer service also reads to be a strong point with SSB with most fit issues seemingly resolved quickly by their support staff. You can see them responding to messages on their Facebook page and on Cratejoy which is always a good sign. As a negative, a select few reviewers were underwhelmed and didn’t think the service was value for money, or were disappointed to not receive items that fit them. Who’s it for? The guy who just binge watched Mad Men for the first time. What do you get? One, two, or three items of vintage menswear. Two or three accessories and artifacts. And one personal note describing the contents of your box. What do reviewers think? Thrifting is another one of those niche pursuits, and so far subscribers seem to really enjoy what they’re getting from Comma Vintage. Reviewers have said how much they enjoy that this is one of those ‘slow burn’ type quarterly boxes, where the curation genuinely feels personalized. Others loved that it’s all American-made clothing and that the box is always filled with hard-to-find items. Who’s it for? The guy who opts for sneakers over dress shoes every day of the week. What do you get? Jetsole offers three tiers of subscription. 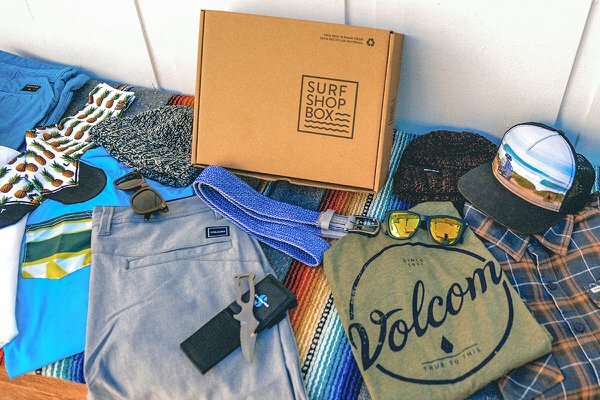 Their JetBox Gear subscription provides an intro to their streetwear brands and accessories with 3-4 items shipped. Their JetBox Premium subscription is the first to guarantee a pair of sneakers as well as three to four streetwear items. Jumping up one more level, their JetBox Elite subscription provides a pair of sneakers, plus a full outfit and two to three additional streetwear items. What do reviewers say? I could only find a couple of reviews for Jetsole, but the ones I found were very positive. The quality and wearable level of curation were standout positives within these reviews, as well as their customer service and value for money. Negatives were the quality of the packaging as well as some issues with some subscribers receiving inconsistent sizes. Who’s it for? The guy who understands that strong sock game will always elevate your style to a whole new level. Their packaging is also outstanding which makes this subscription very giftable. What do you get? One pair of form-fitted dress socks and a signature style card. The style card is a cool touch. 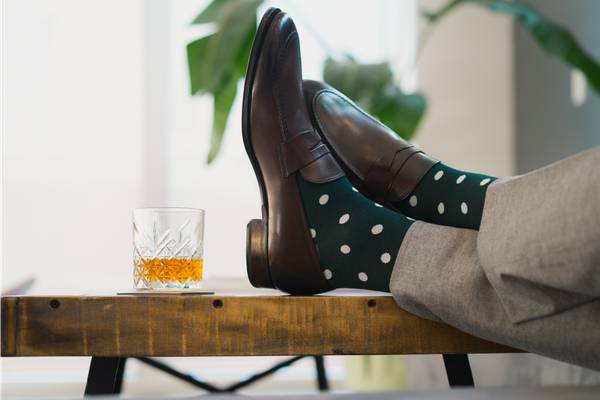 It gives you advice on what your new socks will be best paired with, like a “charcoal wool trouser and dark brown loafers” or a “navy blue trouser and black brogues”, for example. What do reviewers think? Honestly, reviewers seem to love Southern Scholar Socks. There are countless positive reviews about their quality, comfort, shape retention, and overall tasteful look of the patterns and colors. Reviewers have also commented on their cool looking packaging and their awesome customer service, with replacements handled without a fuss. I’ve looked (and looked some more) and I’m genuinely struggling to find a negative review to share. Who’s it for? The guy who wishes his Birthday came every month. What do you get? Four to six handpicked items each month, including lifestyle items, premium accessories, tech products, and grooming essentials. What do reviewers think? 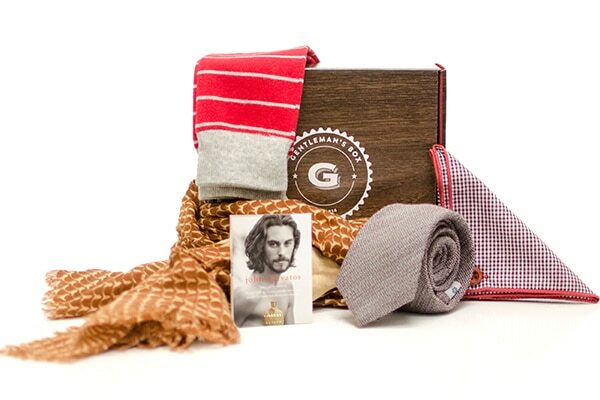 The general sentiment among reviews is that you get decent value for money with Gentleman’s Box. Their Facebook page is also littered with comments about the quality of their customer service, including the speed and manner by which any problems were handled. Negative reviews tended to focus on subscribers receiving too many of the same time of item (ties and socks is the common culprit), or them feeling like what was delivered in no way represented the images they saw on the website. Who’s it for? The guy who wants a simple way of enhancing his accessories collection each month. What do you get? 3-4 accessories per month. Items include socks, ties, pocket squares, tie bars, bracelets, watches, aftershaves, grooming products, and more. What do reviewers say? 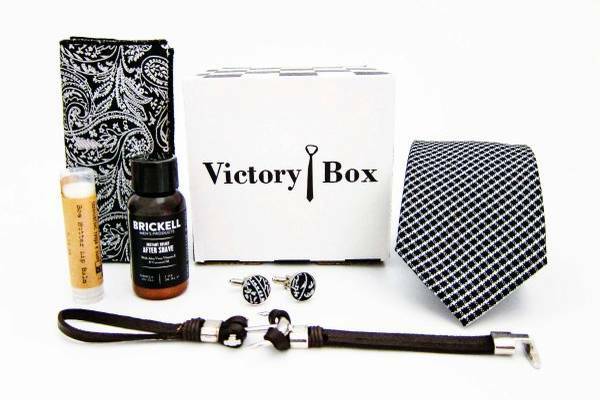 VictoryBox is well regarded by reviewers overall. People are impressed by the variety and consistent quality of the accessories, with several claiming it to be their favorite subscription box. Reviewers also seem super impressed by the value for money they get with each box. For negatives, one reviewer felt the customer service was not up to standard, and another didn’t like the way one of the ties looked. Who’s it for? The guy who likes a decent looking sock covering his man-toes. These guys have some really classy branding and packaging going on which makes this box a solid gift option as well. What do you get? One pair of new, seasonally designed Canadian socks per month. Made from 75% cotton, 23% nylon and 2% spandex. Plus a handwritten note. What do reviewers say? There aren’t a whole lot of reviews online for King x Portland, but those I’ve found have been mostly positive. Fans of the box have commented on the quality of the material as being a big plus, even in comparison with some competitor sock-boxes. One reviewer gave the box a three out of five stars as he found that one pair of no-show socks he got would constantly slip off his heel as they didn’t have the common silicon antislip heel feature. That said, he did say that the other two no-show socks he received from the brand did include the feature and were fine. You may want to request this feature before you order if you think this will be an issue for you. Who’s it for? The guy who wants to enhance his accessory collection and likes his subscription boxes to have a theme to them. What do you get? Five to six handpicked accessory items. Including socks, ties, pocket squares, grooming products and more. With an interesting ‘guarantee’ that the box will be over $100 in retail value. What do reviewers think? 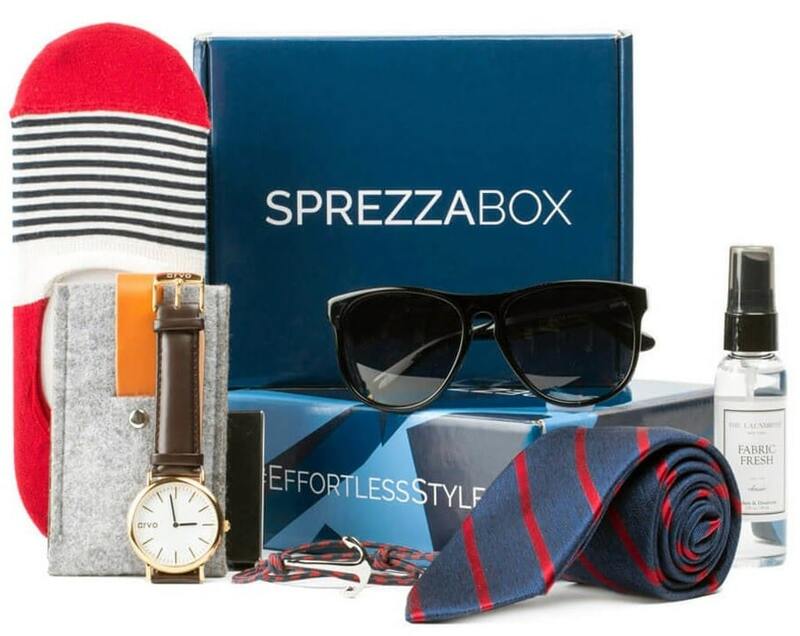 Reviews often compare SprezzaBox with Gentleman’s Box. And it makes sense why. They’re both men’s accessories boxes positioned around the $25-30 / month ballpark. This post from The Peak Lapel breaks down the differences between them really well. As positives, there are several reviews praising SprezzaBox’s value for money, with some claiming they’d received over $130 in retail value. 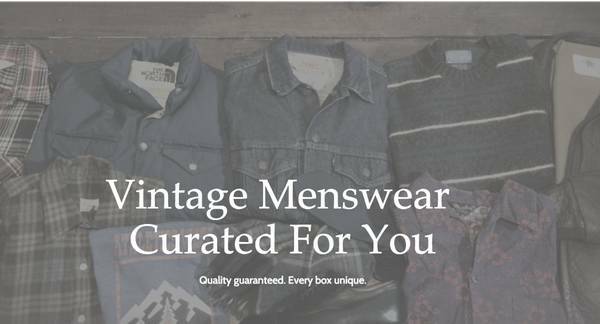 Other reviews pointed to quality of the themed curation, and the convenience of SprezzaBox as a way of easily boosting your accessory collection. The negatives I saw were not too dissimilar to other bundle style boxes. Complaints have been made about items being too similar each month (particularly ties and socks), as well as the poor quality of fabric of some clothing items, or the perceived uselessness of others (eg. receiving an airplane pin as one of the five to six items). Who’s it for? The guy who wants to build a tie collection from scratch. Or liven up his existing one at a reasonable monthly price. What do you get? 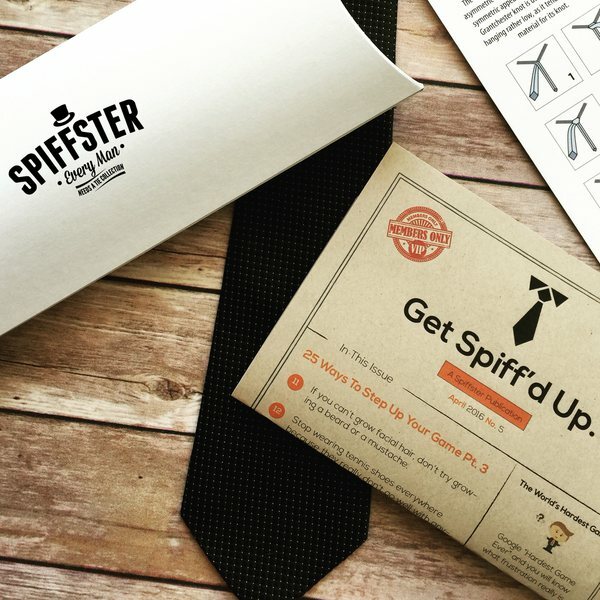 After taking an optional survey to tailor your Spiffster Club experience, you will be sent one handcrafted tie per month. Options vary from traditional ties, skinny ties, bow ties, and even socks. Materials used include silk, microfibers, cotton, and wool. What do reviewers think? Reviewers are pleased with the quality of the ties, however I noticed several comments complaining about their design. In setting up your order, be sure to read the style options carefully. For the original tie subscription for example, you can choose between business mix, bold mix, or a variety mix. If you’ve got the basics covered already in your collection, it might be wise to go for the bold mix based on the reviews I’ve seen. Who’s it for? The guy who isn’t afraid to live boldly. What do you get? 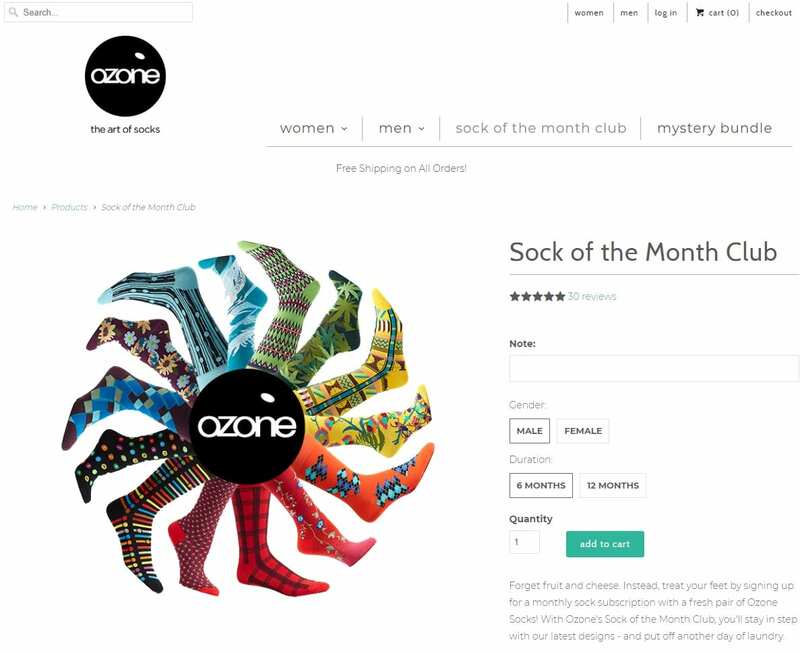 As part of Ozone’s Sock of the Month Club, you’ll get one pair of crew socks per month + one free pair on signing up. What do reviewers think? Reviews are positive overall for Ozone’s subscription service. Customers rave about their awesome and creative designs, quality and feel of material, and high standard of customer service. 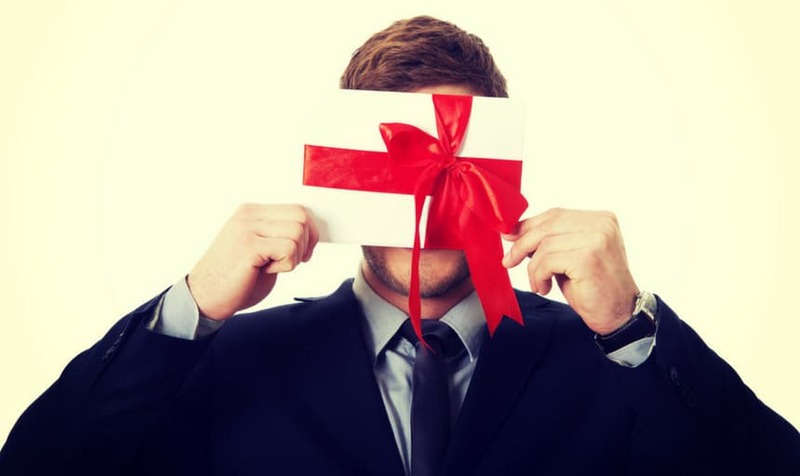 As a negative, one reviewer mentioned that if you buy for someone as a gift, all communication will come to you (rather than the gifted recipient). And they haven’t been able to solve this through support. Another subscriber was disappointed to learn that the price wasn’t masked on a gift purchase. If you buy this box as a gift, our advice would be to reach out to customer support first to get these issues straightened out before it ships. Who’s it for? The guy who (like me) is always losing his collar stays to the relentless appetite of his washer. What do you get? A pair of premium stainless steel collar stays with a brand new inspirational quote engraved on each piece. What do reviewers think? Subscribers love this box and I understand why. There are many glowing reports about the quality of the stays. Especially when compared to those tacky plastic ones you get with a lot of shirts. Stainless steel stays are always going to work a lot better to keep your collar in place. It’s also a really thoughtful and decently priced gift for any wife or girlfriend to get for her main man. Reviewers also praised the quotes as being well thought out. And reading them an enjoyable addition to their daily dressing ritual. As one reviewer pointed out, a new pair each month might be overkill. But I guess that depends on how much you dig the monthly quote concept. Or more likely, how often your washer is swallowing your stays. Who’s it for? The sock fan in you. Or the guy or gal who likes to give a great gift. What do you get? Either one, two, or six pairs of 70% combed cotton, 200 needle socks per month (your choice). What do reviewers think? 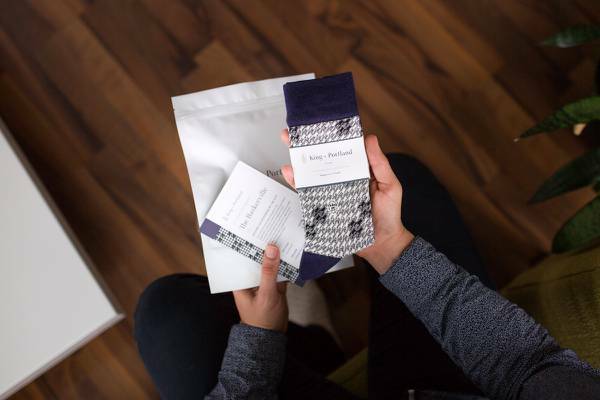 OK, it’s yet another sock subscription service. 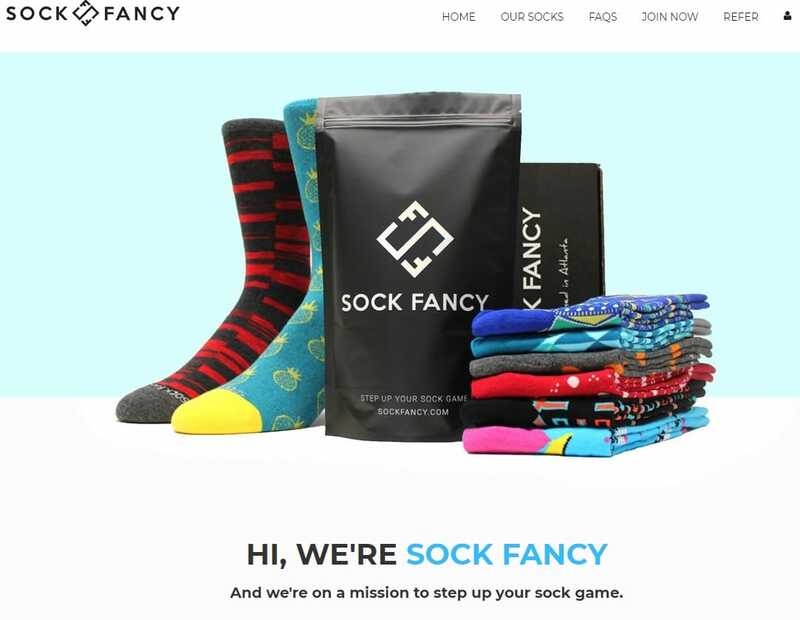 But to be clear, Sock Fancy have over 2,800 reviews on their website. And at the time of writing, 2,656 of them are five stars (yep, out of five). In fact, they could be the most positively reviewed sock subscription service I’ve found. Subscribers love the designs and the soft feel of their cotton material. Many reviewers have also praised their top notch customer service. It’s also clear that a lot of people have given Sock Fancy to a loved one as a gift. And they’ve been received very well. For negatives, some reviewers noticed inconsistencies between the thinness of material of the socks in some months’ orders. Others also longed for a little more edge in terms of their designs. As you may have noticed throughout this post, several companies are making promises on the minimum total retail value of their boxes. Just keep in mind that ‘retail value’ and ‘price you’d pull the trigger on an item’ are often two very different prices. So let’s say the retail value of a box is $100 and it costs you $25, but you’d only ever actually shell out around $25 for everything inside. Then you’re really just getting your money’s worth. Not some epic deal. And that’s why in that case, the quality of a box’s curation is so important for it to remain a value add for you. But hey, value for money is subjective. And I’ve tried to only include boxes in this list which I believe offer genuine bang for your buck. Regardless of any marketing claims. Are there any boxes you think deserve a mention? Or have you had good or bad experiences with any of the above? Chat with us about it in the comments. We’ll be updating this list on the regular. These both feature a few of the boxes we mentioned, but there are plenty of different ones in there too. You might also like to check out our rundown of the 50 Things Every Man Should Own. Get our most inspiring guides and exclusive discounts. Direct to your inbox. We don't do spam. Unsubscribe any time. Get real time updates directly on your device, subscribe now. Founder and Editor, The Adult Man. Gin sympathizer. Full stop enthusiast. Seeker of manly truths. Chat with me on Twitter @theadultman or via our contact page. A couple of guys helping guys. Johnston And Murphy Shoes Review: Are They Truly Presidential? Get our best posts, discounts, and giveaways direct to your inbox. The Adult Man is a participant in the Amazon Services LLC Associates Program, an affiliate advertising program designed to provide a means for us to earn fees by linking to Amazon.com and affiliated sites. © 2019 - The Adult Man. All Rights Reserved.